Our Price: $25.00 Ships in 1 day. Comments: Brand new, never used. Publisher: William D. Ross, Knoxville, Tennessee, 1975. Soft Cover, 178 pages, 8.5 x 11. 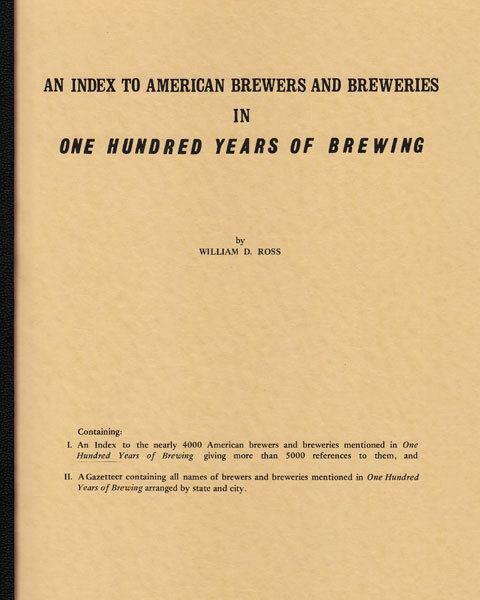 The 1903 book One Hundred Years of Brewing is one of the greatest resources for beer historians. Nearly every single one of its 718 pages is packed with historical data. 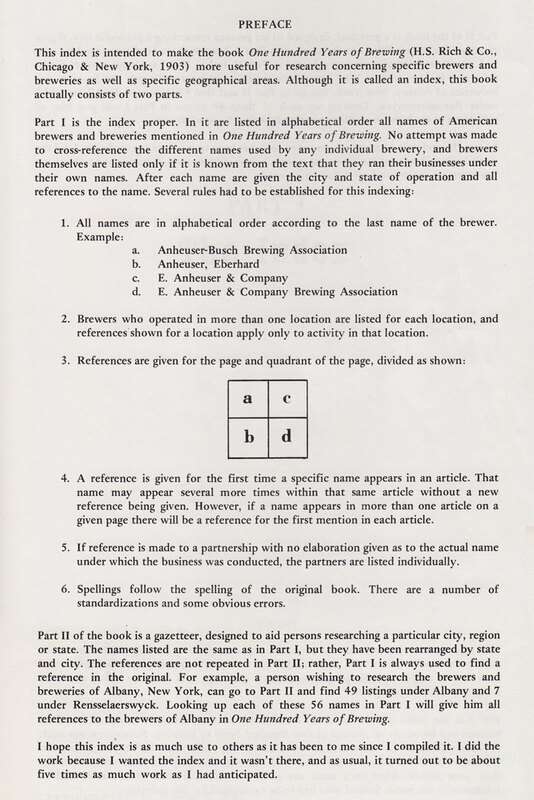 Shortly after the book was reprinted by Arno Press in 1974, beer historian William D. Ross decided that a volume of such great value to beer researchers needed a quick-reference index. 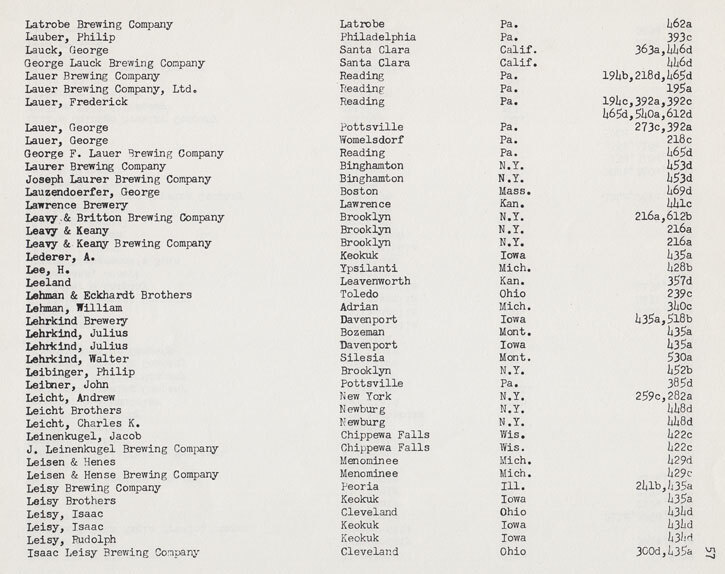 So, he created one: An Index to American Brewers and Breweries in One Hundred Years of Brewing. Sadly, Bill Ross passed away in July of 2018. His family has sent BeerBooks.com the last few cases of Bill's index and asked us to find good homes for them. These are original 1975 books in never-used condition, fresh from their original boxes. 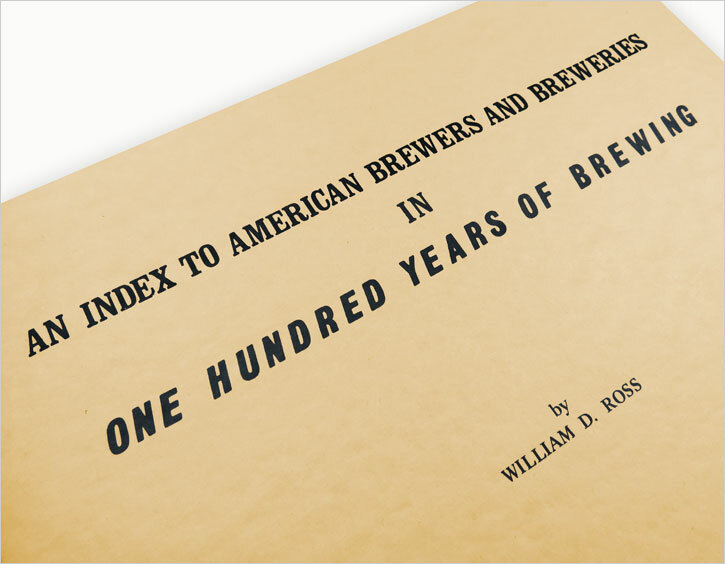 The 178-page index allows researchers to quickly find all references to the more than 4,000 American brewers and breweries that are chronicled in One Hundred Years of Brewing. 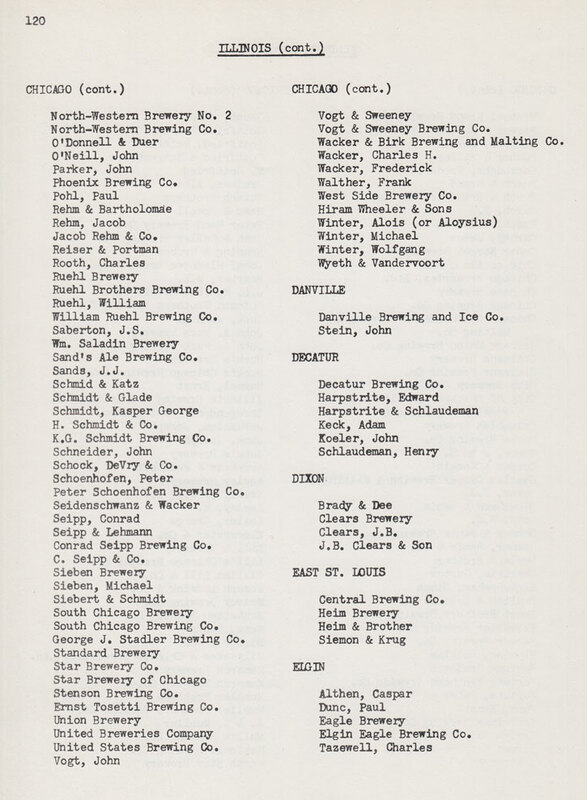 The index consists of two parts: 1) an alphabetical name index of every American brewer and/or brewery mentioned in One Hundred Years of Brewing, along the corresponding page numbers, and 2) a geographical index, including names of all brewers and/or breweries named in the book, arranged by state, then by city. 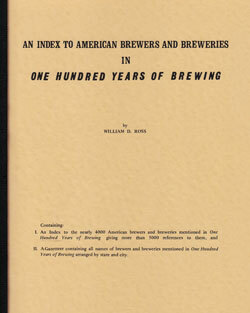 This index is simply indispensable for anyone who uses One Hundred Years of Brewing for research purposes.